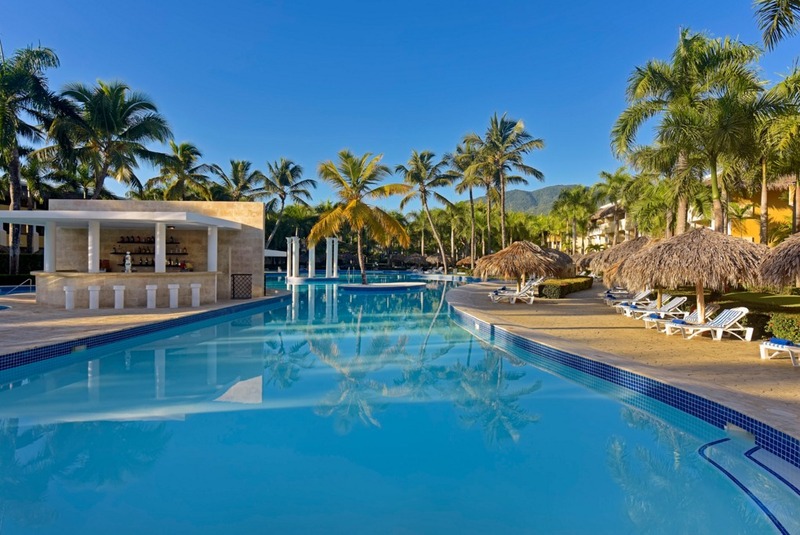 Puerto Plata is a paradise for water sports, but take a break in the large lagoon pool with swim-up bar. Iberostar Costa Dorada is located on the beach in Puerto Plata, on the northern coast of the Dominican Republic. The 24-hour all-inclusive resort features a PADI dive center, a wide range of water sports, a spa, gym, tennis courts, and large lagoon pool. There are over 500 rooms at the resort, most of which are standard rooms with a garden, pool or ocean views. A handful of ocean view junior suites are available, which offer a bit more space than the standard rooms. All rooms have balconies or patios, and minibars. Dining options at Iberostar Costa Dorada include a buffet, three specialty restaurants featuring Mexican, Brazilian, and Japanese cuisine, and five bars. Fly into Gregorio Lupern International Airport (also known as Puerto Plata Airport), Dominican Republic (POP). The resort is about 20 minutes from the airport. Visit Iberostar Costa Dorada’s website for more information.